IT projects are on high demand nowadays, so it is not hard to understand the rise of Custom Software Development Companies that adapt to the clients' needs. 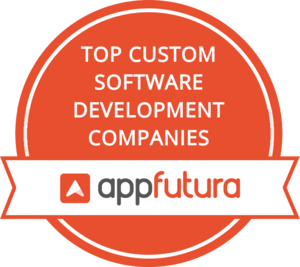 At AppFutura, you’ll find the best Custom Software Development Companies categorized in different areas so if you are looking to hire Top Custom Software Developers, look no further. The client reviews on the Best Custom Software Development companies directory have been verified by experts. "We've successfully built the required software, piloted the system and launched into production in five real estate objects." Custom Software Development (or engineering) and its many verticals have been on the rise ever since everyone owns any device that can get Software installed in it: from computers to smartphones. Thus, it is not strange that the Custom Software Development industry has grown so much since the beginning of the 21st century. Custom Software Development firms need to adapt to any new technology that arrives in the market and that their clients will want. Therefore, it has been a key sector to employ the best IT professionals as top Custom Software Developers. In time, as the demand and cost of these services grew, Offshore Custom Software Development has become a common practice by thousands of clients in North America and Europe. From big corporations to startups or individual entrepreneurs, outsourcing work to parts of the world where the development of custom software needs is cheaper has become standard practice. So much so that there are companies fully dedicated to having custom software development projects offshored to them in many parts of the world.